This Ponzi scheme involving New Birth Missionary Baptist Church is getting more interesting. There is evidence now indicating that Bishop Eddie Long and the church were warned about Ephren Taylor and the possibility of a Ponzi scheme. Even with this information, Long never shared the information with his congregation. 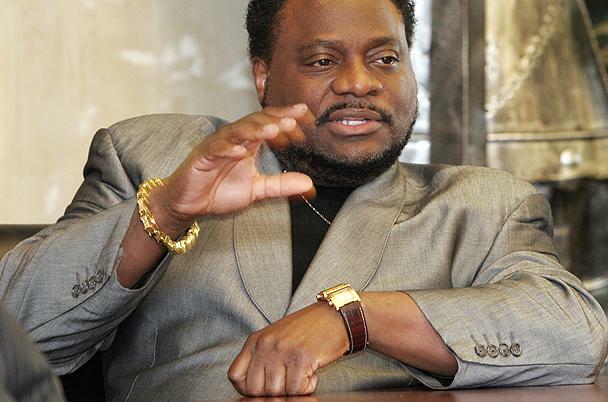 ATLANTA — Channel 2 Action News has uncovered new allegations against megachurch pastor Eddie Long. Court records show Long was warned about self-described "social capitalist" Ephren Taylor more than a week before Long's parishioners were scammed out of more than a million dollars. "I thought we were betrayed. It really hurts even more now," said Lillian Wells, who invested $122,000 with Taylor. She said Taylor issued a promissory note saying he was investing her money in real estate, and guaranteed a 20 percent return. "That was my everything, and that's it, it's gone," Wells told Channel 2 investigative reporter Jodie Fleischer, adding she always thought it was suspicious that Long didn't lose any money with Taylor. Long never invested despite urging his congregation to do so. "Put your hands together and receive my friend, my brother, the great Ephren Taylor," Long preached to his congregants at New Birth Missionary Baptist Church in October 2009. He then embraced Taylor, who took the stage and pitched his investments. Wells is one of a dozen church members now suing Taylor and his companies, Bishop Long, and the church, in hopes of recovering that money. During the discovery process, the church handed over an internal memo dated nearly two weeks prior to Taylor's New Birth seminars. An unidentified caller told Long's assistant that he "did not want the church to be taken advantage of." He warned of Taylor's $3 million capital deficit, and that Taylor "will issue promissory notes to the congregation if allowed that gives him legal authorization to do what he wants and there will be no return on investment." "To hear that they got a memo that says this guy you're bringing here is a crook, I think that was ridiculous," said Wells. "I really think that if you know something, either you should cancel, you shouldn't bring the person there." "That's just evidence that's called a smoking gun," said attorney Jason Doss, who represents the church members. Doss said Long had a duty to pass along that warning. "He has to put his church members' interests before his own," said Doss. "He was obligated under the law to tell everybody about it, and obviously he didn't." So it turns out that Bishop Eddie Long was encouraging his congregation to invest with Ephren Taylor, but he himself did not invest. Let this serve as a lesson to people. 1. Don't take investment advice from your pastor unless he himself is trained in the artform that is investing. 2. Never put all your money into one place. Diversification is the key word here people. 3. Never place your money into an investment that the person bringing the investment to you i.e. Bishop Long is not willing to put his/her money into.